Did you know that the average American creates up to about 4 pounds of trash every day. That comes out to around a couple of tons for each family, each year. Lots of trash. 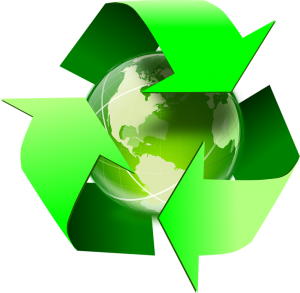 Unfortunately, we only recycle about 30% of all recyclable materials we use. Yes, even with all the curbside collecting, only come out to 30% of billons of ton of trash. Can we do better? Absolutely. Consider glass. Glass is one of those materials that can be recycled over and over again. It never loses its purity or its composure. That makes glass a perfect material to continue recycling and turn into new class. Cardboard packages can ultimately break down but glass doesn’t ever lose its shaper or composure… unless you break it! That makes it the perfect sustainable packaging material. What about steel? Recycling a pound of steel saves enough energy to run a light bulb for a whole day. You could also heat 18,000,000 homes with the amount of steel that gets recycled every year. It is also more economically efficient to recycle as much steel as possible instead of producing new materials every time. Most of the steel you buy now has about 20% recycled content already included. Styrofoam is another major trash item that can be recycled. Styrofoam coffee cups are another major source of garbage that we can recycle instead- every year, we throw away 25,000,000,000 of these cups. There are some recycling programs across the country that actually pay for what you turn in. That is especially true for aluminum can and plastic bottles. Even with those programs, there is still around $1 billion worth of recyclable material that still ends up in a landfill. How extensive is your home recycling program? Do you know you could also recycle things like old mattresses, furniture, appliances and e-waste? At least you could if you hire Junk King Dallas to take care of the hauling. This is a professional junk hauling service that is dedicated to a green way of getting rid of rubbish. It’s all part of their complete junk removal package. If you want to expand your recycling, then give your junk to Junk King Dallas today. This entry was posted in Dallas Recycling and tagged Junk King, junk removal, recycling on November 30, 2017 by Junk King. Last updated December 2, 2017 .